These products are chosen based on their ability to conserve water, and their availability at HD Supply Solutions. Bathroom Faucets: 0.5 gpm maximum. Kitchen Faucets: 1.5 gpm maximum. Aerator to be flushed yearly or if resident complains of weak flow. Aerators help control water usage, so it is important they are maintained. Removal of aerator will result in higher water bills. Water Flow: Maximum of 0.5 gpm. Single tap/ lever is preferred. Coordinate faucet selection with sink holes (No holes can be empty). Faucets in ADA units must be ADA compliant. Faucets in common bathrooms must be ADA compliant. 0.5 aerator must be installed separately. Water Flow: Maximum of 1.5 gpm. Coordinate faucet selection with sink holes. Water Flow: Maximum of 1.5 gpm and Water Sense Certified. Finish: Chrome coating over brass. Diverter integral to shower valve. Water Flow: Maximum of 0.86 GPF required. Bowl Type: Elongated Bowl Required. For rehabs: Verify elongated bowl can fit within existing bathroom and maneuverability is not compromised. Note Rough-In Size and if Rear/ Wall Discharge vs. Floor-Mounted (Rehabs only). Water Flow: Maximum of 0.5 GPF required. Acceptable Manufacturers: American Standard, Toto, Kohler, Gerber, and Seasons. Finish: Type 302, 18 gauge Stainless Steel. Bowl Number: Double Bowl Preferred. Depth: 8” for standard unit; Maximum of 6.5” in ADA units. Holes: 3 holes or less, no plugs permitted. *If counter space is limited, consider single bowl sink. New Construction + Rehab: garbage disposals are not permitted. Property Management: remove garbage disposals when they warrant repair or remplacement. Size: 2 gallon min. capacity. Integral Wall Bracket Supports required with assembly. Insulation/padding required for exposed pipes. Pop-up drain required at unit bathroom sinks, but not in common area sinks. All sinks to have overflow drain. 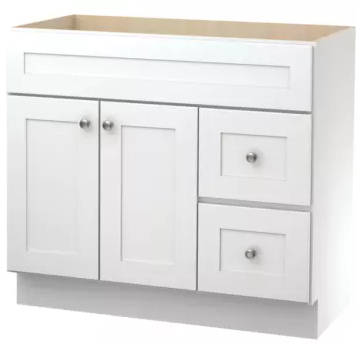 Use solid surface vanity tops (sink integral with countertop). Width: 37" min, or match existing. Pop-up drain required at bathroom sink. Materials: White porcelain enameled steel tub. Size: 60” minimum length, or match existing. Wall Surround: See Tub/Shower Surround Spec. To be installed upon resident reasonable request. Accessories: Folding shower seat and hand-held shower head. Trench Drain: Required at shower threshold. At senior properties where ADA units are being built (new construction) or rehabbed, as many bathrooms as possible should be converted to roll-in showers. Porcelain 12”x12” tiles in natural or light color. Wall Surround: Solid surface or tiled tub surround. Porcelain Tile - white 12”x12” tiles. Required Details: One of the following details must be incorporated into the shower design to accommodate the introduction of grab bars or other reasonable accommodation requests in the future. Install 3/4” plywood continuously on all shower walls between studs and waterproof backerboard. Please provide alternate fixture specification and quote from supplier in order to confirm compliance with base standards. Who is installing new fixtures?